Mary Jane Flinn, 90, Dorothy Love Retirement Community, Sidney, Ohio formerly of 1228 Hawthorne Dr., Sidney, Ohio died at Dorothy Love on Monday, March 16, 2009 at 4:10 AM. She was born December 16, 1918 in Sidney, Ohio the daughter of Claude and Florence (Markland) Peters and they are deceased. On May 1, 1949 she married Theodore Flinn and he died January 7, 1987. Surviving are two children, Lawrence Flinn and wife Mary of San Antonio, Texas and Craig Flinn and wife Lee of Dayton, Ohio; seven grandchildren, nine great-grandchildren and two great-great grandchildren; half sister, Rose Evelyn Lewis of Sidney, Ohio; two half brothers, Richard Peters of Sidney, Ohio and James Peters of Durango, Colorado. She was a 1936 graduate of Sidney High School and was a member of the First United Methodist Church in Sidney. She had worked for twenty years at Evelyn Wilhide&#39;s dress shop in Sidney and other retail establishments. Funeral services will be held at Salm-McGill and Tangeman Funeral Home in Sidney on Friday, March 20, 2009 at 10:00 AM with Rev. Jane Madden. Burial will be at Graceland Cemetery, Sidney. Everyone is invited to lunch at the First United Methodist Church fellowhip hall following the committal services. Friends may call at Salm-McGill and Tangeman Funeral Home on Thursday, March 19, 2009 from 6-8 PM. 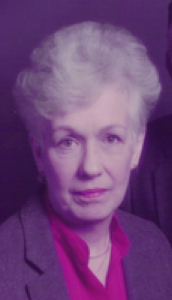 Memorial contributions may be made to Dorothy Love Life Care Fund, 3003 W. Cisco Rd., Sidney, Ohio 45365. Envelopes will also be available at the funeral home.